Flower boxes can be made to suit your needs, any size, light weight and portable, with a convenient handle for easy moving. Available in natural wood or painted. 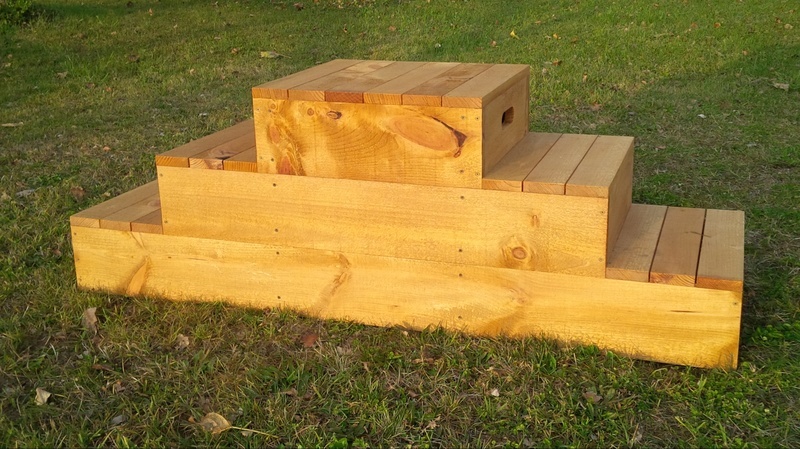 Mounting blocks of various sizes can be made and customized, this example has a 5' base. $120 for the example below. 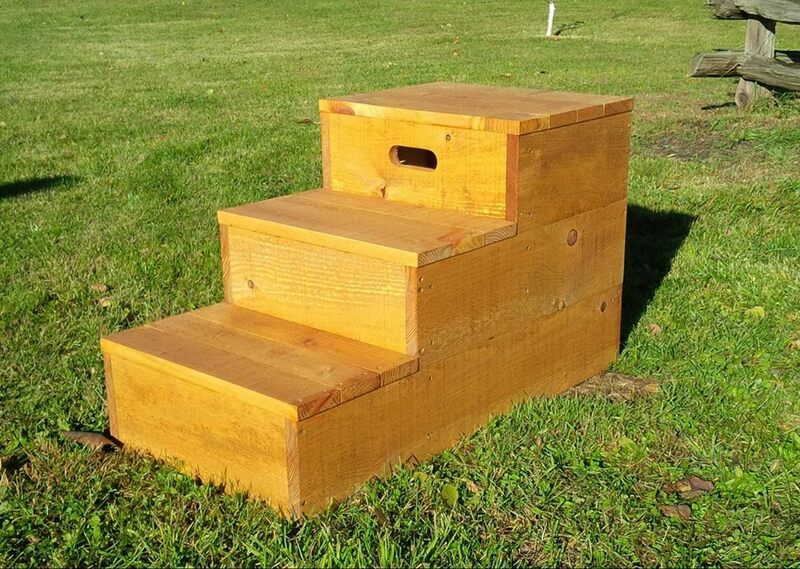 Smaller sized mounting block, $100 for the size below. Dimensions of this block, total height is 20.5 inches, 34 inches long, and 18 inches wide. This block is made as light weight as possible and is 30 lbs. It is easy to move around with the convenient hand hole. Other sizes can be made by request for an additional fee. Run in shelters can be made in any size and style, below is an example of a shelter that has been refinished by Marcus.